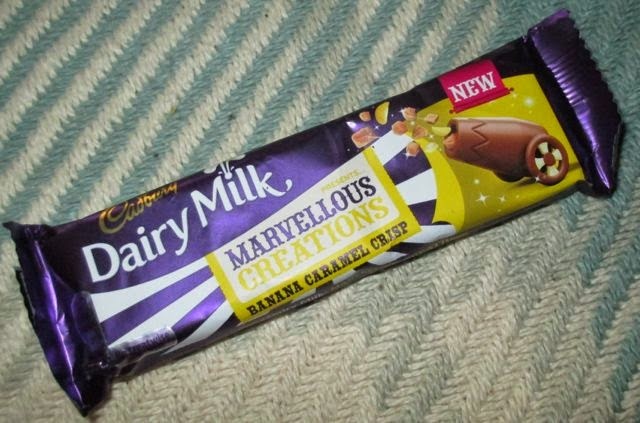 The Marvellous Creations range of chocolate bars from Dairy Milk never fails to make me smile. They put the fun back into chocolate, and the mix of flavours are always something a bit different. This particular new bar didn’t make Spectre smile, he has a ‘thing’ about banana as a flavour, so wasn’t keen on the idea of this new chocolate at all. I do get the impression banana is a bit of a marmite flavour, but I like the taste so couldn’t wait to tuck in. Once unwrapped the bar looked like the other bars in the in Marvellous Creations range, with its patterned pieces ready to break off and eat. 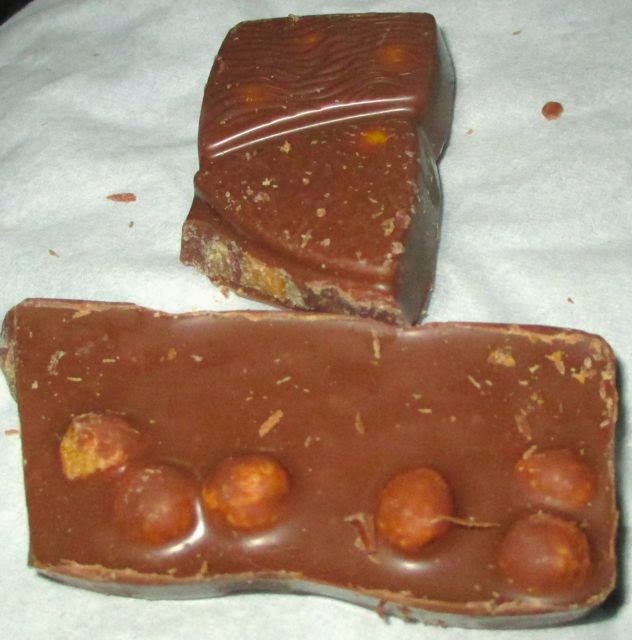 There was a slight hint of some yellow bits showing through on the top, but the underside of the bar shows off the ingredients better, with goodies bulging out of the chocolate underneath. The bar is fun to eat, the textures are playful and the range of ingredients is quite surprising. The main flavour came from yellow soft sweets that taste of banana, these were sweet and full of flavour, giving the bar its name. Also in there were was a lovely sweetness from some caramel and crunchy pieces of malt. The malty bits add a distinct taste, which help tone down the banana sweetness, and do mix things up rather nicely. It is a fun bar to eat, and another great addition to the range of Marvellous Creations goodies. Its nice to see the banana flavour getting into a mainstream bar, fingers crossed they add some peanut butter next!